Today I read a section in February’s issue of Fast Company (my favorite magazine…I know it’s June right now. This is the copy I had on my office desk that I’ve been slowly getting through at work) entitled “Fast Talk”. They have this in every issue and essentially every piece is made up of a bunch of little segments from various CEOs, typically from smaller, but very successful, tech companies/consulting firms/marketing firms, as well as some larger companies. This issue’s “Fast Talk” had the theme, “From Idea To Innovation”. And the first interviewee said something that stuck with me. Mark Payne, cofounder of Fahrenheit 212 – a NY-based “innovation consultancy” – was talking about his company’s office space and how the space, and their collaboration process, helps foster innovation. Payne mentioned the glass walls of offices, so people can write ideas everywhere; he mentioned they had two sides of the office that focused on different elements of the business and how they got together all of the time; and he mentioned how everyone is encouraged to walk around and talk to other people. But he also stressed the importance of the single person and their role in innovation. 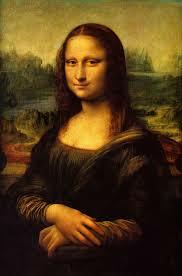 “Mona Lisa was not painted by [a] committee,” Mark says. And that got me thinking. Collaboration is great and essential to business. Collaboration helps foster creativity and innovation. But these corporate attributes also require ideas to sit in a brain, untouched by other people’s words or ideas. Giving employees time alone, allowing ideas to fester in their minds and make their way through that individual’s own “expertise filters”, is another vital component of creating healthy workplaces. At the end of the day, an innovative product/idea/project is really a mixture of many, single innovative ideas. So while a lot of workplace practices in the 21st century hinge on “collaborative workspaces”, we must not forget how important the single person is to the collaborative process. We don’t need to be with each other all of the time. We all need some alone time as well as collaborative time. It makes our ideas better. Previous Previous post: Fighting Crime With Beethoven?